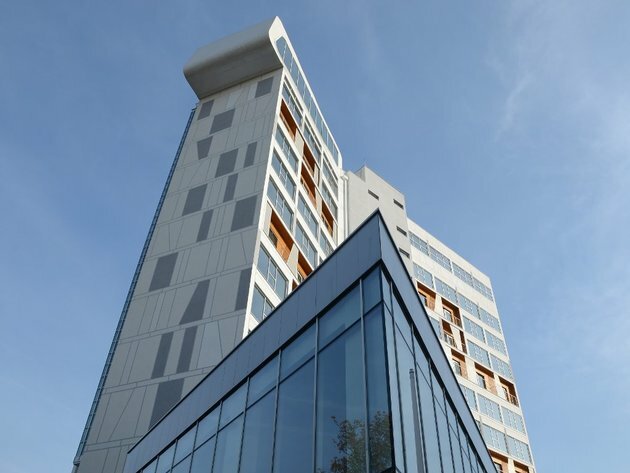 Hotel Sheraton in Novi Sad officially opened for guests today, providing the city with its first international hotel brand. The four-star hotel is an investment of MK Group worth EUR 12 million and a part of the strategy of the expansion of the hotel business of this company in the most attractive locations in the region. Sheraton will operate under the franchise of one of the most famous hotel corporations in the world, Marriott International. As stated in a press release by MK Group, the first Sheraton hotel in Serbia has four stars, 150 superior rooms, of which nine apartments, and a presidential suite. It also features an elegant a la carte restaurant, and the Wine & Tapas Bar. The topmost floor is reserved for a spa and wellness center with saunas an a hot-tub, and the hotel also offers so-called club rooms and a club lounge, with special benefits for members of the Sheraton loyalty club, which will be provided with a special concierge program as well. Hotel Sheraton is located close to the Novi Sad Fair and the city's center and takes up 13,000 square meters. With a total of six conference halls with a capacity of close to 800 seats and the possibility of having several events organized simultaneously, Hotel Sheraton has the potential to organize the biggest gatherings in the region, it is added.